Want to get the word out about your business, club, or big event? 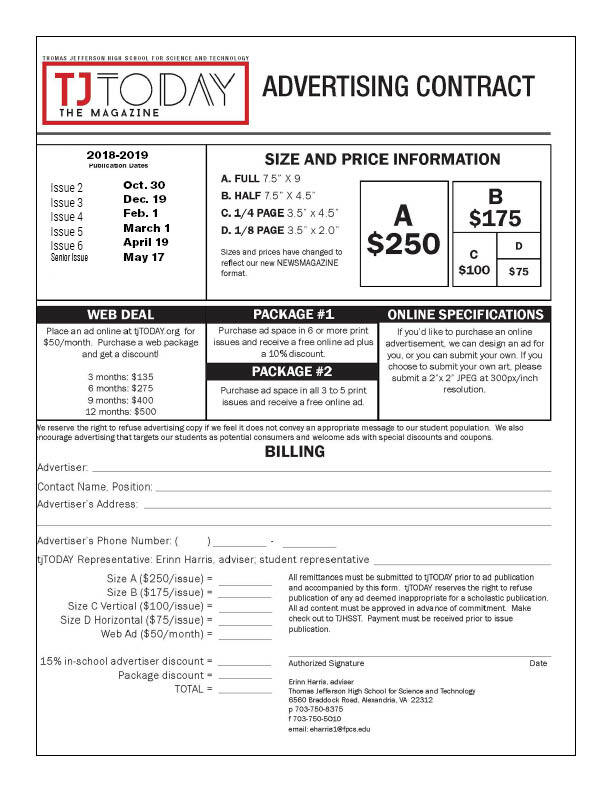 Advertise in tjTODAY! For more information and for the advertising contract, click here or on the image below. Ads will not be printed until payment is received. Questions? Email Ms. Harris (EHarris1@fcps.edu).